Cowden syndrome, termed as Cowden disease and multiple hamartoma syndrome is an uncommon condition that is genetic or familial. It is primarily autosomal dominant in nature. The disease is characterized by occurrences of multiple hamartomas or non-cancerous skin irregularities that are usually increasing in a disorganized manner. These hamartomas consequently predisposes the patient to a greater risk for cancers or malignancies. Cowden syndrome almost affects the integumentary area of the body (skin) and more than half of the cases affect the thyroid gland. Frequent locations of the hamartomas are the eyes, the gastrointestinal as well as the genitourinary tract and the mucosa. Mucocutaneous zones or the zones in the body where the mucosa meets with the skin are also frequently affected with characteristic phenomena such as acral keratosis, papillomatous elevations of the skin and several trichilemmomas. Cowden syndrome has about one per 200,000 people prevalence rate across the world. 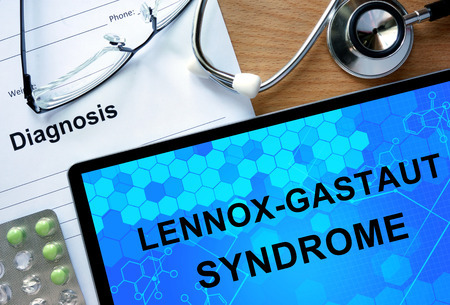 However, since the clinical manifestations of Cowden syndrome are pretty much common in the general population, underdiagnosis may have been possible, indicating a much higher prevalence rate than what is currently published. In addition, both sexes may inherit the disorder with corresponding similar integumentary manifestations. Cancer occurrences may differ depending on the patient’s gender. For instance, women have a higher probability to acquire cancer of the breast while men are more likely to acquire cancer of the thyroid. The onset of the signs and symptoms of Cowden syndorome may widely vary. One person may develop signs and symtpoms right at birth while others start to develop clinical features at the fourth decade of life. Generally, the main etiologic factor for the occurrence of Cowden syndrome is gene mutation. The main gene concerned in Cowden syndrome is the PTEN gene in chromosome 10. Although mutations in the PTEN gene comprises a large amount of Cowden syndrome incidents, other gene mutations may have been responsible for the occurrence of the disease such as the mutations happening in the BMPR1A gene. The PTEN gene, otherwise known as phosphatase and tensin homolog is the gene mainly responsible for the suppression of tumors. This gene is also widely dubbed as TEP1 and MMAC1. This gene produces a protein called phosphatase, which is responsible for eliminating phosphate groups, which allows the phosphatase to control other proteins. Moreover, it is thought that this protein of the PTEN gene brings about cell death; hence, a disturbance in its function may result to overgrowth of cells, which ultimately results to the hamartomatous development found in Cowden’s syndrome. However, a small percentage of Cowden sydrome cases do not exhibit a mutation in the PTEN gene and their specific genetic anomalies have not yet been clearly elucidated. In addition, a one and the same mutation in the PTEN gene has been found in a disorder called Bannayan-Ruvulcaba-Riley syndrome. Incidentally, this particular disease poses a much lower risk for cancer, indicating that a PTEN gene mutation is not the only main culprit for the clinical manifestations of Cowden syndrome. Other diseases, which also exhibit a mutation in the PTEN gene, are autism-like conditions, Proteus-like syndromes as well as Lhermitte-Duclos disease of the adults. In Cowden syndrome, a mutation or an alteration in the genomic sequence of the PTEN gene has resulted into changes in the physiology of the associated gene. A patient with Cowden syndrome usually consults professional medical help due to integumentary manifestations. In this case, the physician should obtain a comprehensive history both personal as well as familial history with cancer specially breast and thyroid malignancies. Other than that, a systemic evaluation of the patient may be necessary. The major criteria for the diagnosis of Cowden syndrome have 5 factors. These are cancer of the endometrium, cancer of the breast, cancer of the thyroid particularly follicular thyroid carcinoma, Lhermitte-Duclos disease and macrocephaly of not less than 97 percent. Minor criteria for the diagnosis of Cowden syndrome have 7 factors. These are fibromas, tumors or irregularities in the genitourinary tract, lipomas, presence of lesions in the thyroid gland, hamartomas in the gastrointestinal tract, breast fibrocystic disorder and mental retardation with an intelligence quotient of less than seventy-five. 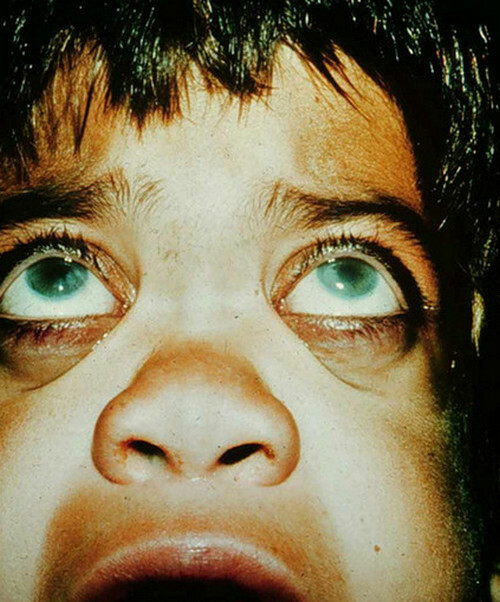 The diagnosis of Cowden syndrome may be divided into two, the other one specific for a person while the other specific for a family with a member having Cowden syndrome. These operational diagnoses will be discussed below. Differential diagnoses should also be performed to rule out similar disorders such as nongenital warts, trichoepithelioma, syringoma, trichofolliculoma and trichilemmoma. Most of the cases of Cowden syndrome have four hallmark cutaneous features, namely papules in the face, acral keratoses, mouth lesions and palmoplantar keratoses, which will each be discussed below. The papules found in the face are characterized by skin eruptions through infiltration of the dermis and epidermis area which are flat at the top and are flesh-like in color. Other than that, the papules may also be extended in length and verrucoid in nature. The lesion’s diameter usually ranges from one to five mm with the center clogged up with a keratin material. These lesions usually occur in great number and are predominantly found in areas surrounding an orifice. 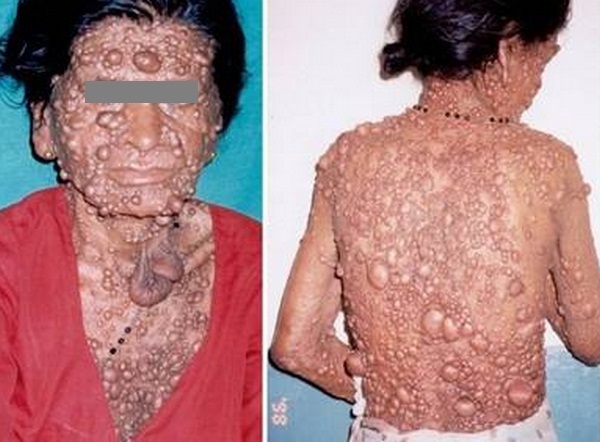 Moreover, the lesions are characterized as trichilemmomas or non-cancerous neoplasms. The acral keratoses in Cowden syndrome occurs in more than half of the cases and are more often than not found in the backside of the feet and hands. Most of the patients exhibit non-cancerous papules in areas of the mouth such as the surfaces of the palate and the gingiva. The papules are smooth and white in color with a diameter ranging from one to three mm. The oral lesions normally band together to form an exterior resembling a cobblestone. In other cases, the tongue may be wrinkled and thickened. Palmoplantar keratoses are transparent and spotted punctures in the soles of the feet and in the hands. Palmoplantar keratoses are found in less than half of the patients with Cowden syndrome. The utilization of multiple ligation-dependent probe amplification to detect PTEN gene mutations may be necesarry; although, it is not recommended for patients with thyroid or breast cancer with no accompanying signs and symptoms indicating Cowden syndrome. Picture 2 : Hamartomas (bumps) all over the patient body, one of the main symptoms of Cowden Syndrome. Utilization of systemic drugs such as acitretin (an analog of retinoic acid) for the treatment of skin manifestations of Cowden syndrome may be instituted; however, these skin manifestations may reappear after cessation of medication use. In addition, topical approach to treatment has been rendered inefffective by several trials. However, a clinical trial on rapamycin administered to a mouse has been performed but up to now, this method is still limited to clinical trials only. 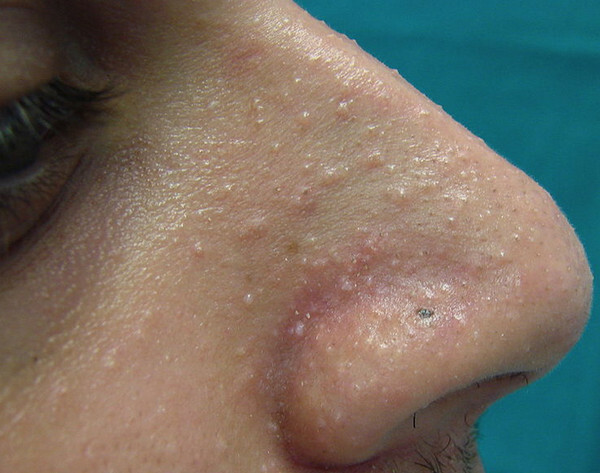 The surgical intervention for Cowden syndrome, specific for clinical manifestations in the face such as papules may comprise peeling through chemical means, laser treatments and surgical excisions. Although the clinical manifestation of Cowden syndrome is largely in the cutaneous area, the other clinical manifestations are however very much widespread in the body. Hence, the medical management of the disease is not only managed by a single physician but by a number of different specialists. For instance, the patient may need an opthalomogist for his/her visual problems. For thyroid problems, on the other hand, the patient needs an endocrinologist to manage his/her thyroid problems. A radiologist may be needed for the performance of mammogram and a surgeon if the results of the mammogram indicate the need for a mastectomy. The patient may also want to consult a genetic specialist as Cowden syndrome is an inherited disorder. The care for Cowden syndrome needs a comprehensive medical collaboration to ensure the patient achieves optimal care. Follow-up care of patients with Cowden syndrome is done yearly or every six months as needed. Mortality in Cowden syndrome is more often than not caused by the consequently occuring malignancies brought about by the high predisposition of the patient to cancer. However, the non-cancerous hamartomas of the disease may also cause major debilitating clinical manifestations to the patient.